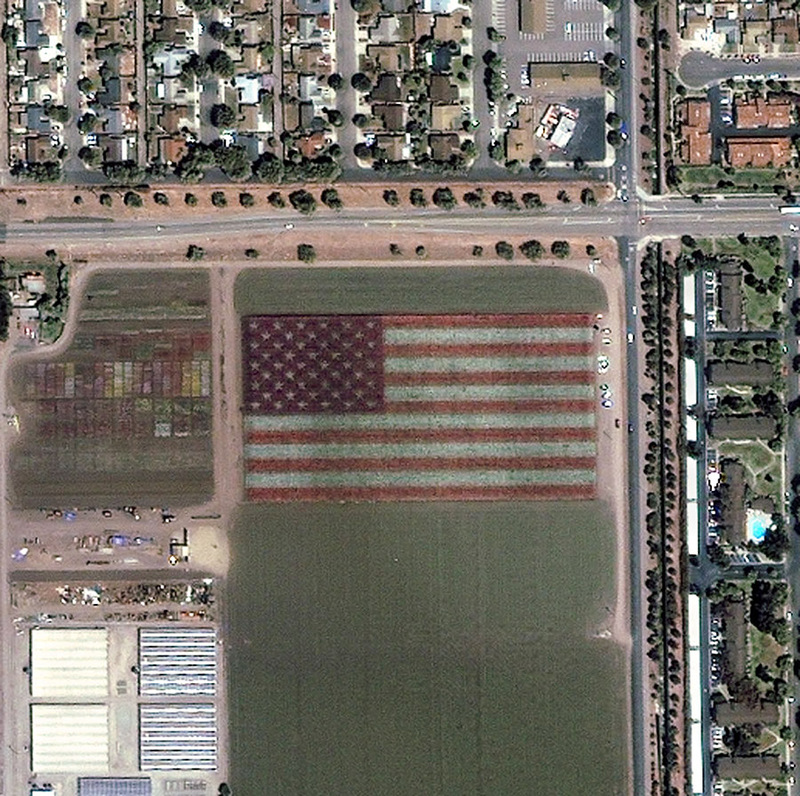 Bodger Seeds has again planted a Floral Flag in Lompoc, California. 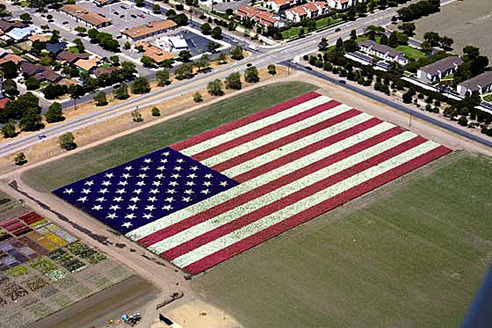 It has been 50 years since we have planted such a flag. 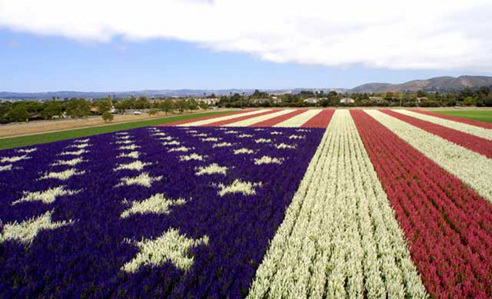 comprised of Red, White and Blue Larkspur flowers. Some of the flags were planted in a background of White Larkspur. Either the 1943 or the 1945 flag was a 'wavy' flag that was a failure.